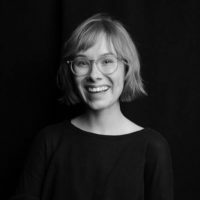 Laura Huss is the editorial and research associate for Rewire.News, where she primarily manages and provides research for various teams and projects, including for Rewire.News’ editor in chief. Previously, Laura worked as a researcher at the Gender, Health and Justice Research Unit in Cape Town on issues relating to the incarceration of women, gender-based violence, and sexual assault. She was also a research and program associate at National Advocates for Pregnant Women, where she advocated against punitive attacks on pregnant people and conducted research on media misinformation, stigma, and the criminalization of pregnancy and drug use. Huss was named a 2015 CoreAlign Generative Fellow in Reproductive Justice Leadership and Innovation and has presented at the International Harm Reduction Conference, the CLPP Annual Reproductive Justice Conference, the UN Commission on the Status of Women, the National Women’s Law Center and If/When/How webinar series, and more. Laura received her Master’s from the University of Cape Town in South Africa studying social movements and community-based development. Laura currently lives in Brooklyn, New York. New research about the effects of HB 2 suggests that regulations targeting medication abortion can and will result in people unable to access the care they need. ICE is holding journalist Manuel Duran after he was arrested while covering a protest in April. His deportation was imminent until the court granted him a stay on Thursday. What I would ultimately love to see, and hope to see in my lifetime, is a culture change where cases like this never arise and, if they do, are thrown out. The primary races and victories for women in these four states are a microcosm of what is happening at the national level. Organizers argued that the Shelby County Sheriff’s Office could have immediately released Manuel Duran after his court hearing, but “decided to stand on the wrong side of history." A University of California professor's research found that women who experienced their first pregnancies as young adults were not at increased risk of subsequent depressive symptoms. Are you surprised? A recent Guttmacher Institute report systematically documents anti-choice laws and the research that debunks their claims. Carrillo has been leading a campaign that could seat her as the "first formerly undocumented woman in Congress."